Valencina de la Concepción is a town in southwestern Spain that sits on top of an amazing archaeological site dating to between 3000 and 2000 BCE. That covers the beginning of the Bronze Age, dated in Spain to around 2200 BCE, and the preceding Copper Age or Chalcolithic period. 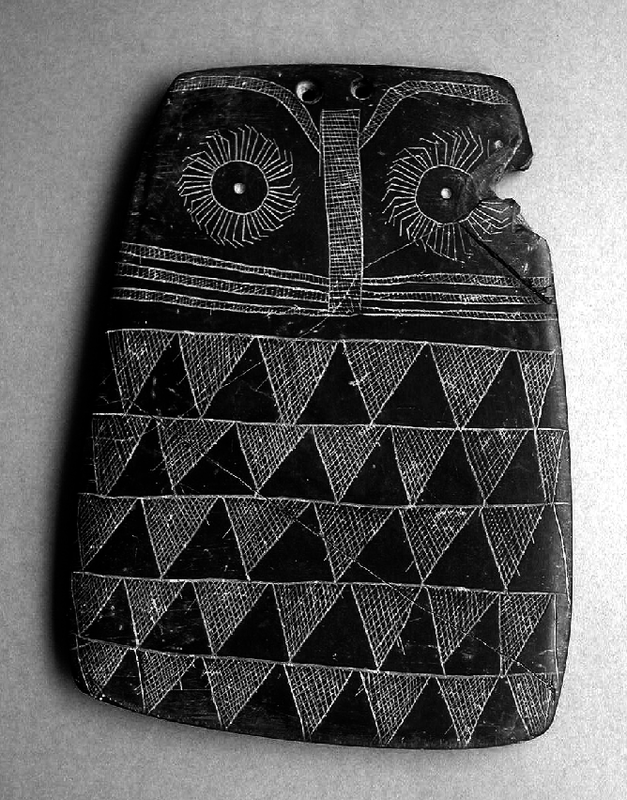 One of the many famous artifacts from the site is this carved slate owl, which now serves as the emblem for the town. 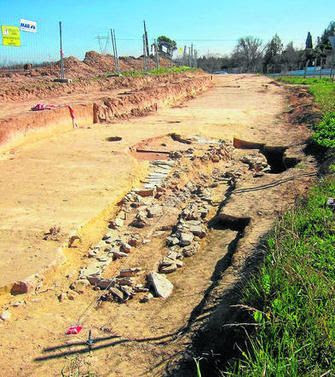 It seems to be a running joke among Spanish archaeologists that the community at Valencina de la Concepción consisted entirely of pits and ditches; by one estimate there should be around 40,000 in the whole site. 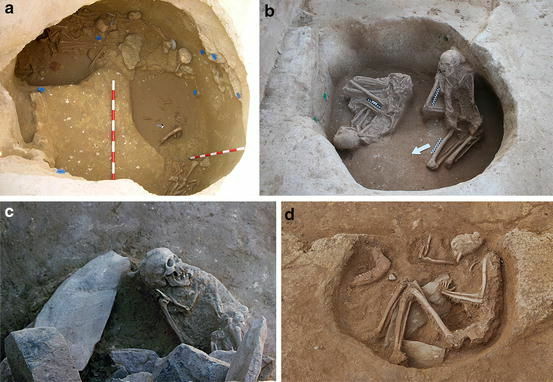 Some of them have burials in them – at least 134 skeletons have been recovered from the site – while others do not. 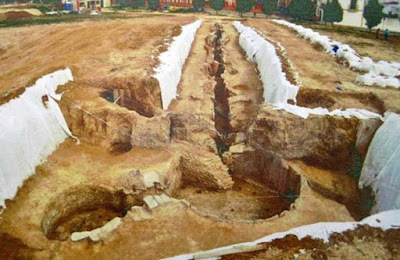 In general, there is not much difference between the pits and ditches that contain skeletons and those that do not. But a great deal of ordinary domestic trash has been found on the site, which certainly makes it look like people lived there. That is, the place was obviously a site of great ritual importance, but it was also a town. Like Jerusalem, say. The most famous elements of the site are two megalithic tombs known as La Pastora (the shepherdess) and Matarrubilla. 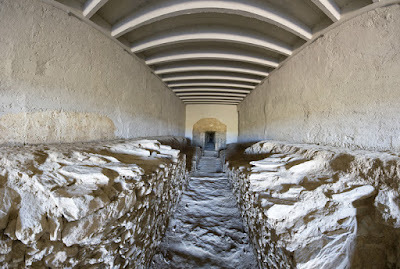 These are "Tholos" constructions, that is, a long tunnel led to a round burial chamber. The gallery at La Pastora is 140 feet (43 m) long. 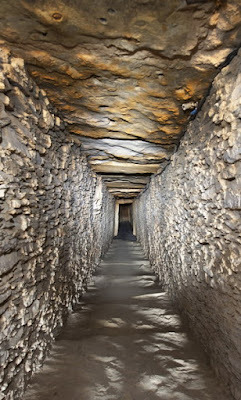 Recent studies of the mass of radiocarbon dates from the site suggest that these tombs were built between 2700 and 2500 BCE. La Pastora was thoroughly looted a long time ago, so not much is known about it contents. Matarrubilla was excavated in 1910, and reported finds include gold, ivory, and "green stones." In 2007 a truly extraordinary find was made in Valencina de la Concepción: another tholos. This one had collapsed in the distant past and had not been completely looted, and it held wonderful things. Excavation went on until 2010, and detailed analysis of the finds is just now coming out. 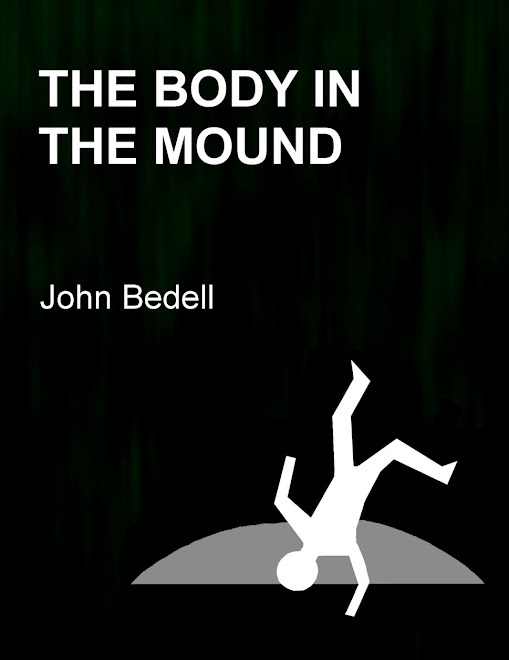 Within the main chamber was the burial of one male "prince" and about two dozen other people. 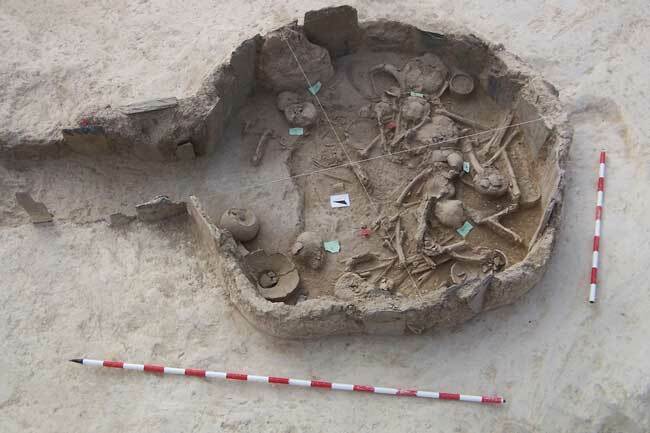 Their skeletons had been disturbed and not all of the burials in the crowd could be properly analyzed, but news accounts from the time of the excavation reported that all were women. The latest statement from the excavators is that two are teenagers, while the rest all are between 20 and 35 years of age; 15 are women, and five could not be identified. The prince had an astonishing collection of artifacts, like this crystal dagger with an elephant ivory handle and belt plate. 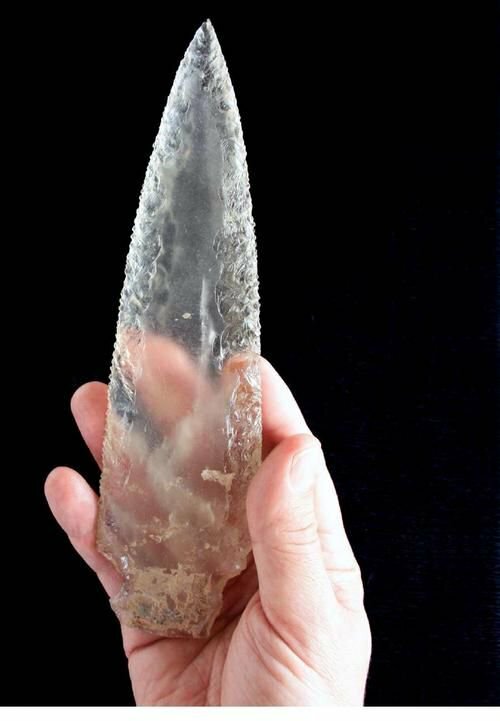 And a crystal spear head. So a complete set of crystal weapons. The subsidiary tomb contained a single male, 17-25 years old. An elephant tusk was laid above the young man’s head. Other finds include a set of twenty-three flint blades and several ivory artifacts. DNA study of the skeletons is under way, so we should soon know if this really was a prince and a retinue of women, and perhaps a lot of other things. It's an extraordinary site, from the time when, it seems, princely dynasties first established their hold on western Europe. Amazing. With respect to this statement: "But a great deal of ordinary domestic trash has been found on the site, which certainly makes it look like people lived there. That is, the place was obviously a site of great ritual importance, but it was also a town. Like Jerusalem." Why is this a place of "great ritual importance" as opposed to just a place where a lot of people live? What evidence points to that? Judging by public presentations here in Tucson, it seems like most things in Southwest (US) archaeology are of "ritual importance" rather than just mundane artifacts or places left as evidence of past human occupation. Why is this term used so much? I have enjoyed your blog. The three tholos tombs and several ditched "enclosures" point to ritual significance. A royal burial site at the least. 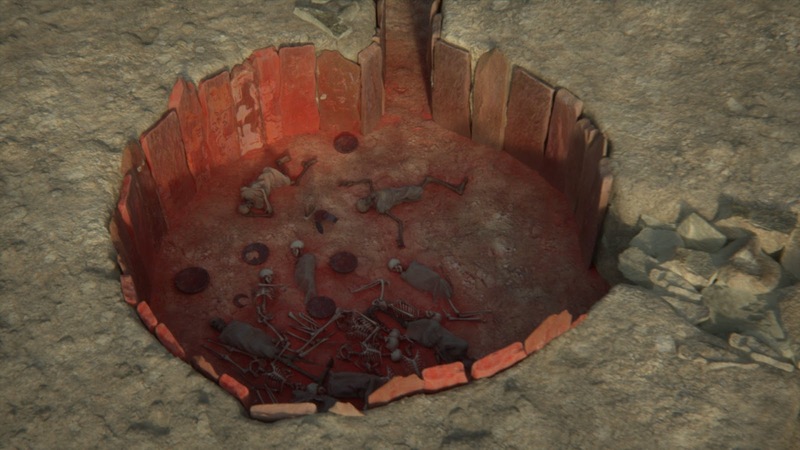 A more general response: What is a ritual site, anyway? Every southwestern town had a kiva or similar structure, which was a temple or church, and also a graveyard. This is equally true of every European village. Many larger European towns had a cathedral, a site of great ritual significance. 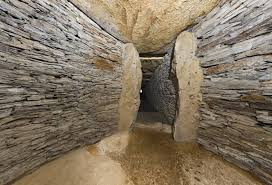 So in a sense it is true that every southwestern site could be said to be a ritual site, since most religious rituals were conducted in the town. Protestants tend not to be all that invested in the sites of churches, but Catholics often are, and all Europeans and Euro-Americans are defensive about graveyards. Thanks for the helpful response. But given this, what is the point of defining "ritual importance" in such a way that every place and so many things have it? What exactly separates "ritual" from the practical or mundane and can archaeology reliably distinguish the two? As a layman listening to public talks here, I have come to think that SW archaeologists believe that Native Americans never laughed, did things because they wanted to, needed to or just could, marked rocks to say "I was here", procured nicer-than-usual objects to have whenever they could, etc. Except for the most common objects (arrow heads and similar, debitage, shards from cooking pots, etc.) everything seems to have "ritual significance". 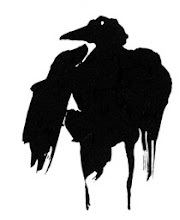 Where does this come from ... is it a holdover from early Euro-Americans observing lifeways, customs and rituals of Native American peoples that were different and seemed strange compared to European ways? I am beginning to ask these questions here during the question periods, also. No answers so far.